My entrepreneurial 15 year old daughter has opened up an Etsy shop, Blue and Beyond, to sell her paintings! To celebrate she is offering one of her paintings to you my lucky readers! One lucky winner will win this 6 X 6 X 1 1/4" painting. This painting would be perfect as part of a gallery wall or just hung on it's own! 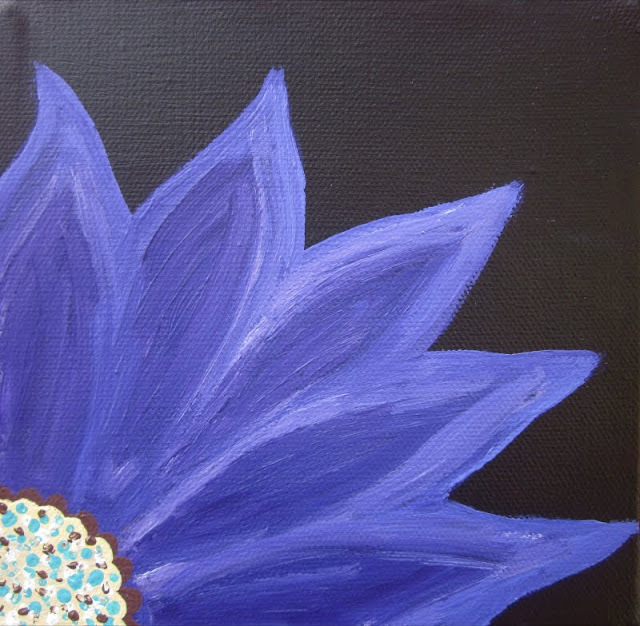 She uses high quality Stevenston Acrylic paints, made in Canada. The painting is signed and dated on the back. 1. 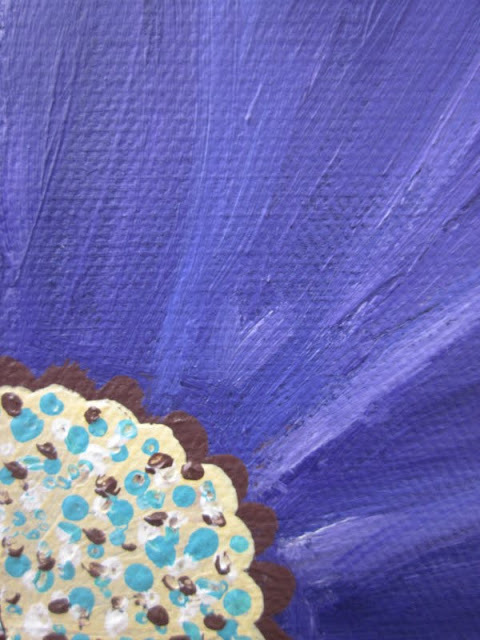 Hop on over to Blue and Beyond to see her other paintings and leave a comment telling which one is a favourite. 2. Add her shop to your Etsy favourites or circle. 3. Write a post or add a link to your sidebar. Make sure you leave a comment for each entry! I will choose a winner via Random.org on Monday, August 15! Fabulous! I love pink peony and autumn sunset. You must be super proud of your talented girl!!! Love the name. I also love that gorgeous pink peony painting. It is so bright and pretty. I like "Lost in the Storm". Please pass on my congratulations to your daughter. Just tweeted re: giveaway of Juli's artwork. Best of luck on your artistic endeavours! 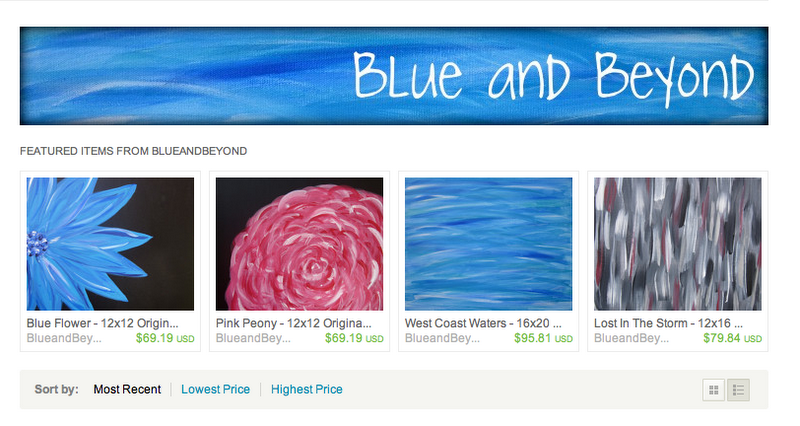 I have also added blue and beyond to my favorites in etsy. By the way, how did she come up with that cool name? Awesome title. I have written about blue and beyond on my blog. Hope you get lots of visitors and sales. Tell Juli to say hi on etsy. Congratulations again. Not only do I love her work, and the fact that she is such an entrepreneur go getter at such a young age, I bought one of her paintings! Her first sale, and to the US to boot! Can't wait to see it in person. You must be one proud momma! I know I would be. Love the foxglove painting. I grow them on my hill. I've added Blue and Beyond to my favorites. Fabulous giveaway from your talented daughter. I love both Blue flower and Pink Fox Glove. I've also added her to my favourites on Etsy. And I've tweeted it as well! Enjoy your holiday! Love Autumn Sunset! Tweeted this too! I adore Autumn sunset!! What a lovely combination of colors! Talent obviously runs in the family Barbara, congrats to her for starting up! Congrats to J on her shop! My favorite is definitely "Summer Swirl". I love all the green! ...and just added her shop as one of my favorites on my Etsy account. Hope you are enjoying your vacation (again!!!). I added to my favorite using my afarmer25@ account. I am with Nancy, talent clearly runs in the family! Way to go girlie! 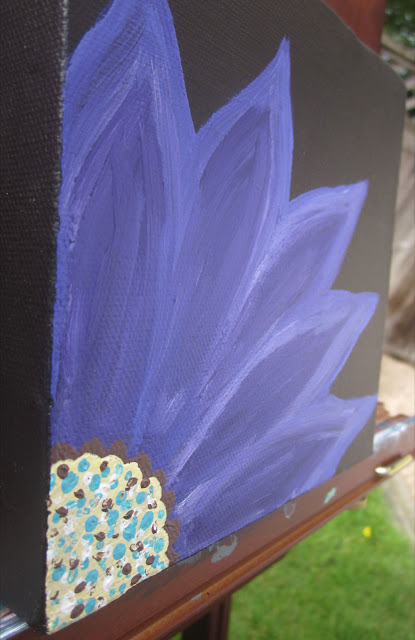 Blue flower is my personal favorite. Added to Etsy circle. I think I did it right... I might even have done it twice! I LOVE her work - what a talented girl! I see your daughter has inherited your talent!! I love the blue flower and autumn sunset. They're all gorgeous pieces. I hope she has a ton of success with her store. I love that your daughter is using her creativity! And I love flowers. Crossing my fingers! Oops! Forgot to tell you which painting I like the most. As I said, I love flowers on anything but have to say that the country apple is my fave on her site.